Pictures From A CHRISTMAS STORY, ELF, SCHOOL OF ROCK, ON YOUR FEET, and more! Check out these pictures from the kids of A Christmas Story, Elf, School of Rock, On Your Feet, and Finding Neverland! ON YOUR FEET at the Kennedy Center Honors Tonight, Pictures From THE KING AND I, and more! The cast of On Your Feet performed at the Kennedy Center Honors at 9/8c on CBS! Check out these pictures and videos from the kids of The King and I, A Christmas Story, Elf, Finding Neverland, Love Never Dies, The Bodyguard, School of Rock, and On Your Feet! Julian Emile Lerner in “Pottersville” on Netflix, Maya Karp’s Vlogmas Video, and more! Congrats to Julian Emile Lerner (Les Miserables), who is in “Pottersville” on Netflix! Check out a picture from the movie below! Watch Day 1 of Maya Karp‘s (The Sound of Music) Vlogmas below! Check out these pictures and videos from the kids of How the Grinch Stole Christmas, School of Rock, The King and I, Elf, A Christmas Story, Finding Neverland, Love Never Dies, The Sound of Music, and The Lion King! Mia Davila and Sophia Massa Join THE SOUND OF MUSIC, ON YOUR FEET To Perform on Kennedy Center Honors, and more! Congrats to Mia Davila and Sophia Massa, who have joined the cast of The Sound of Music as the Gretl/Marta swing and as Gretl respectively! Watch the cast of On Your Feet on CBS’s Kennedy Center Honors on December 26th at 9/8c! Check out a sneak peek on CBS.com! Check out these pictures and videos from the kids of A Christmas Story, Elf, Motown, and Love Never Dies! Imani Pullum in Best Buy Commercial, Alex Louis Featured in The Hudson Independent, and more! 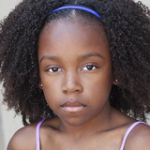 Watch alum Imani Pullum (The Lion King) in a commercial for Best Buy below! 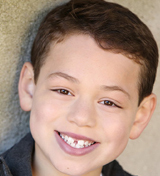 Alex Louis (School of Rock) is spotlighted by The Hudson Independent! Check out the article at TheHudsonIndependent.com! Eliana Mann (Waitress) spoke with WeAreIowa.com! Chase Phillips (Motown) chatted with the South Bend Tribune! Check out the article at SouthBendTribune.com! Turner Birthisel and Colin Wheeler (Finding Neverland) spoke with Rhode Island Monthly! Check out the article at RIMonthly.com! Read a blog about the casting process for School of Rock at DrPhillipsCenter.org! And check out these pictures from the kids of A Christmas Story, How the Grinch Stole Christmas, Les Miserables, The King and I, Elf, and Love Never Dies!